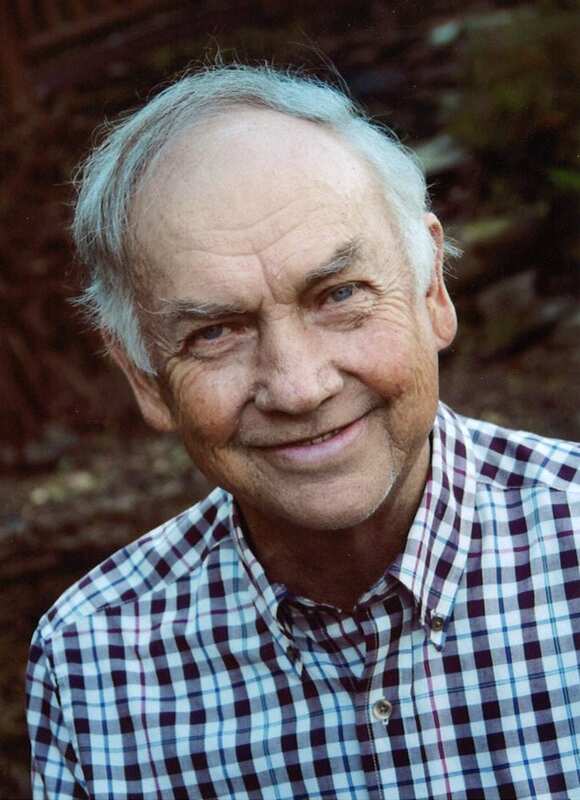 Mr. Cye J. McPherson, age 83 of Ellijay, Georgia passed early Saturday morning, March 23, 2019, at his residence. Mr. McPherson was born October 11, 1935 in Ellijay, GA to his late parents Orton and Velma Beasley McPherson. He was a member of East Ellijay Baptist Church. He was employed with Garland Lumber Co., Weissinger Lumber Co., Appalachian Oak Flooring and Millwood Specialty Flooring. Funeral services will be held at 5:00 p.m. Sunday March 24th, 2019, from the Logan Funeral Home Chapel with Rev. John Bramlett and Rev. Pat Shelton officiating, music and vocals will be by Mrs. Janice Burgess. Graveside Interment will take place at 11:00 a.m. Monday, March 25th, 2019 at the Liberty Baptist Church Cemetery. Survivors include wife Katherine Lovingood McPherson of the home in Ellijay; Daughter and Son-in-Law, Marsha & Gerald Stanley of Ellijay, Grandchildren and spouses, Meagan (Greg) Ridings, Mandra (Timmy) Jenkins, Monica Carpenter, Great Grandchildren, Scott & Korbin Ridings, Shaylee & Bryson Jenkins, Hunter & Brayden Stanley, Landon Carpenter, Brother-in-law, Jimmy Lovingood, several Nieces & Nephews also survive. Mr. McPherson is preceded in death by daughter, Shelby Jeanne McPherson, Sisters, Joyce Erwin and Joan Bradford; brothers Alvin Bud McPherson and Naddie Waters. Family will greet friends on Sunday, March 24th, 2019 from 1:30 until the funeral hour at 5 pm at the Funeral Home. Flowers are being accepted or donations may be made to The Gilmer Christian Learning Center, 183 Bobcat Trail, Ellijay, GA, in memory of Mr. Mcpherson. Online condolences may be sent to the family at www.loganfuneralhome.com. Logan Funeral Home in charge of the arrangements. 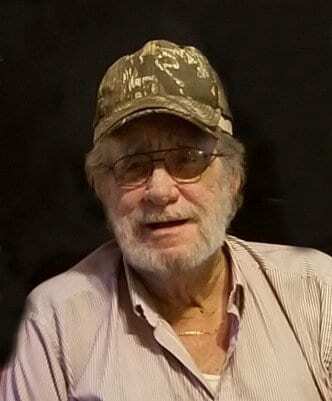 Mr. Billy Jesse Davis, age 70 of the Tails Creek Community in Ellijay, GA passed on Sunday, March 17th at his residence. Mr. Davis was born on January 16th,1949 in Ellijay, GA to his late parents, Ernest G. Davis and Rosa Logan Davis. Billy was a graduate of Gilmer High School, class of 1968 and served his country honorably U.S. Army. 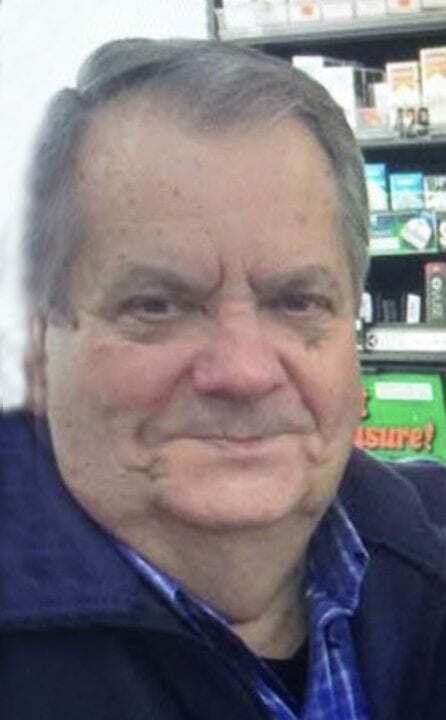 He was a member, deacon, and Sunday school teacher at Tails Creek Baptist Church in Ellijay, a co-owner of Pine Mountain Meat Processing, and was an employee at Orchard Junction for over 17 years. He is preceded in death by his grandson, Dakota Shope and his Brother, Dillard Davis. Funeral Services will be held at 3:00pm on Wednesday, March 20th, 2019 from the Logan Funeral Home Chapel with Rev. Billy Dotson, Rev. Brondy Davis, Rev. Shane Duggan, and Rev. Eddie Kerr officiating. Music and vocals will be by Harold Sanford, Tracy Abercrombie, Karen Kerr, and the Kerr Family. Military Honors will be performed by the North Georgia Honor Guard at the Logan Funeral Home Pavilion immediately after the service. Graveside interment will be in the Crossroads Baptist Church Cemetery with Jerry Baxter, Jeff Baxter, Byron Abercrombie, Ronnie Abercrombie, Mike Davis, Trevor Garrett, Harold Sanford, Tracy Abercrombie, Terry Payne, and Leon McClure all serving as pallbearers. He is survived by his wife of 47 years, Wanda Barnes Davis of the home in Ellijay, GA; daughter and son-in-law, Bridgett and Lamar Shope of Ellijay, GA; grandsons, Dylan Shope and Carter Shope; niece and nephew, Michelle Davis Garrett and Mike Davis. The family will receive friends from 4:00pm until 9:00pm on Tuesday, March 19th at the Logan Funeral Home. In lieu of flowers, the family requests that donations be made to the Tails Creek Baptist Church Cemetery Fund c/o Tracy Abercrombie at 40 Fox Trail Court Talking Rock, GA 30175 in memory of Mr. Davis. Logan Funeral Home & Chapel in charge of arrangements. 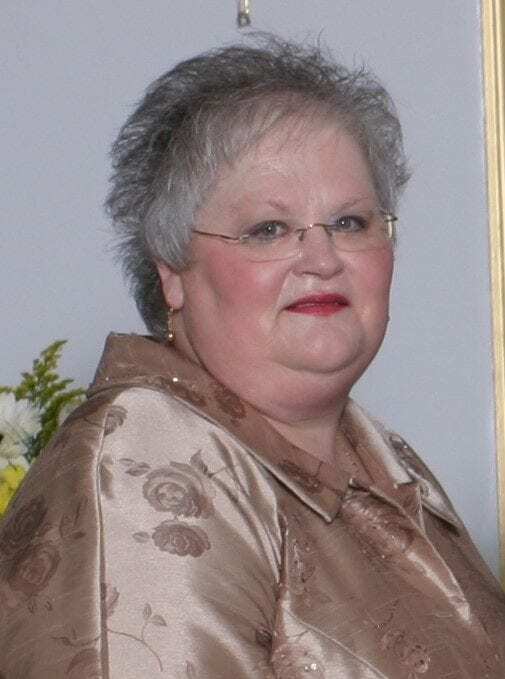 Mrs. Monica Waddell Baker, age 64 of Stockbridge, GA passed on Saturday March 16th, 2019 at her residence. Mrs. Baker was born on May 28th, 1954 in Atlanta, GA to her father, Howard Otis Waddell, and her mother, Hilda Sue Crawford Waddell. After Monica graduated from Gordon High School in Decatur, GA in 1972, she went on to obtain an associates degree from Reinhardt College. Monica was a member of Eagle’s Landing First Baptist Church. She loved working as children’s Sunday school teacher and as singles Secretary at Jonesboro First Baptist Church. She is preceded in death by her son, David Ray Baker, and her father, Howard Waddell. Funeral Services will be held at 12:00pm noon on Wednesday, March 20th, 2019 from the Mountaintown Baptist Church with Minister Joseph Piette officiating. Interment will follow in the church cemetery with Clint Waddell, Timothy Piette, Joseph Piette, Chris Wang, Nic Waddell, and Doug Piette all serving as pallbearers. Survivors include her mother, Hilda Sue Crawford Waddell of the home in Stockbridge, GA; siblings and in-laws, Judy and Doug Piette of Stockbridge, GA, Doug and Sonja Waddell of Locust Grove, GA, and Ken and Sandy Waddell of Stockbridge, GA; several nieces and nephews also survive. The family will meet with friends from 10:30am until the service hour of 12:00pm noon on Wednesday, March 20th, 2019 at the Mountaintown Baptist Church. Flowers are acceptable, or donations can be made to the American Cancer Society at P.O. Box 22478 Oklahoma City, OK 73123 in memory of Mrs. Baker. Mrs. Stephanie Lynn (Hoffmann) Bauer, age 43 of Ellijay, GA passed on Friday March 15th. Stephanie was born on November 23rd, 1975 to her father Richard Hoffmann and mother Alice Suelynn (Beltz) Bunnell in St. Louis, MO. She was a member of the Christian faith and worked most of her life as a book keeper. Stephanie was a selfless person, always putting others first and loved taking care of her family. 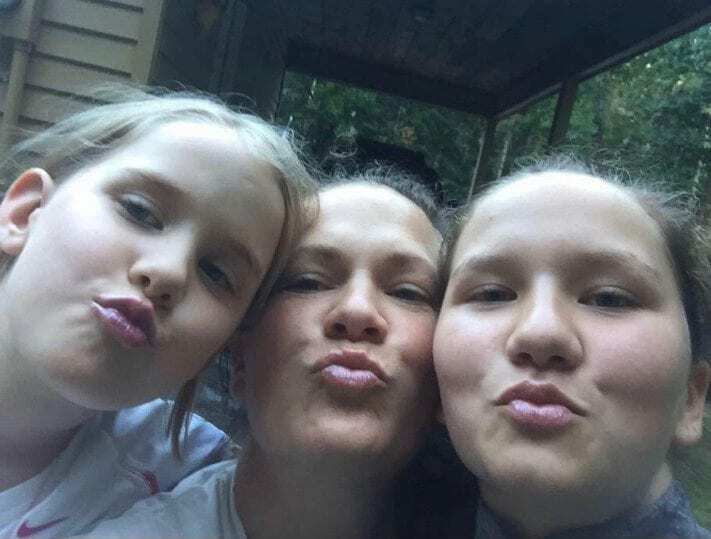 A Celebration of Stephanie’s Life will be held at 2:00pm on Saturday March 23rd, 2019 from the First Baptist Church of Ellijay with Rev. Josh Moyers officiating. The family will receive friends at the church prior to the service from 12 noon until 2:00pm. She is survived by her husband of 21 years, George Mitchell Bauer, Jr. of Ellijay, children, Mitchell Austin Bauer of Chattanooga, TN, Abby and Jaiden Bauer both of Ellijay, GA, mother and step-father, Alice & Roger Bunnell of Ellijay, GA, father and step-mother, Richard & Pam Hoffmann of St. Louis, MO, sister, Kimberly Faith Beltz of Austin, TX, brother, Rick Hoffmann of Illinois. In Lieu of flowers, the family requests that donations be made to the St. Jude Children’s Research Hospital at P.O. Box 1000 Dept. 142 Memphis, TN 38148 in memory of Mrs. Bauer. Online condolences may be sent to the family at loganfuneralhome.com. Logan Funeral Home & Chapel in charge of the arrangements. In loving memory of Linda Michael Collins. 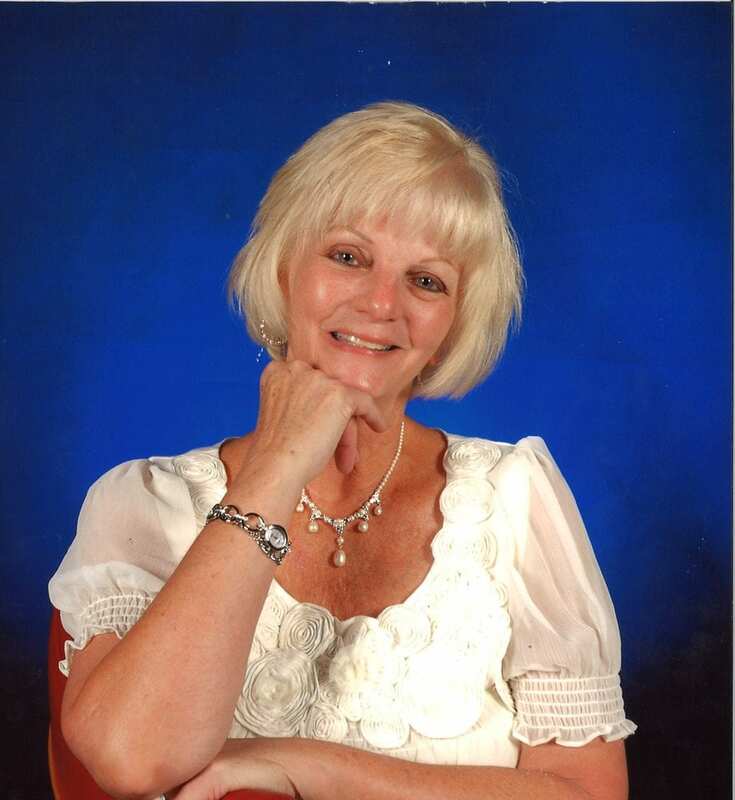 Linda, age 69 of Ellijay, GA passed away on Friday evening, March 15th, 2019 at her residence. Linda was born on December 11th, 1949 in Orlando, Florida to her late father, Leatus B. Michael, Jr. and mother, Doris Magee Michael. Linda was a 1968 graduate of Boone High School and worked in accounting for her family business, Central Auto Parts in Orlando Florida. She had a flare for decorating her many homes. Linda retired from Central Auto Parts to enjoy her three grandchildren. She had an infectious laugh and loved to play jokes on friends and family. Linda loved Watching NASCAR and Drag Racing with Mike and even participated in races at the local speedway. She loved riding on the back of Mike’s motorcycles. Linda lived in Florida most of her life moving to Ellijay Georgia for her health, where she resided till her death. Linda is survived by her husband of 43 years, Michael R. Collins in Ellijay, GA; daughter, Michelle Lynn Hackett &(Robert) of Cocoa, FL; grandchildren, Brittney Hackett Wilson, (husband Nathan Wilson), Dylan Hackett, and Devin Hackett; great – grandchild, Brantley Wilson; mother, Doris Helen Michael of St. Cloud , FL; siblings and in – law, Karen and Lee Foley, of Orlando, FL and Steven & Karen Michael of St. Cloud, FL; along with several nieces and nephews. The family will receive friends from 4pm until 7pm on Monday, March 18th, 2019 at the Logan Funeral Home. 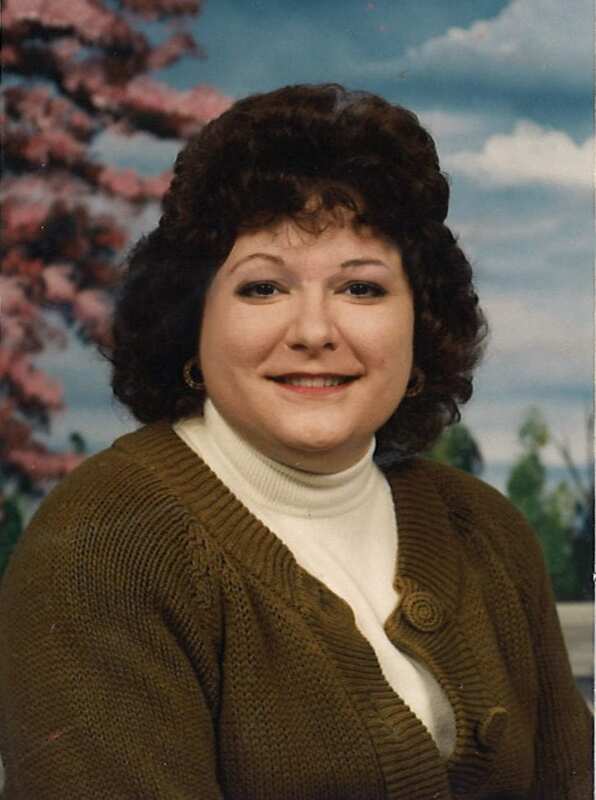 Mrs. Cindy Banks Ensley, age 61 of Ellijay, GA passed away on Monday, March 11th, 2019 at Piedmont Atlanta Hospital. Mrs. Ensley was born on September 16th, 1957 in Dalton, GA to her late parents, William “Doc” Davis and Helen Hayes Banks. She was a 1975 graduate of Valley Point High School and was a graduate of Dalton State College with a degree in Nursing. She worked as a Registered Nurse at North Georgia Medical Center and Parkside Nursing Facility in Ellijay. Cindy was also a member of the Clear Creek Baptist Church and was a loving wife, mother, Grammy, and friend. She is preceded in death by her husband, Donny Banks. Funeral Services will be held at 2:00pm on Thursday, March 14th from the Clear Creek Baptist Church with Rev. Billy Dotson, Rev. Chris Chastain, Rev. Coy Richards, and Rev. Adam Banks officiating. Music and vocals will be by the Clear Creek Baptist Church Choir and special friends. Graveside interment will follow in the Clear Creek Baptist Church Cemetery with Blane Banks, Robby Cantrell, Burt Dotson, Cole Ledford, Alan Ledford, Johnny Banks, Robert Ensley, and Wayne Holt all serving as pallbearers. The family will receive friends from 4:00pm until 9:00pm on Wednesday, March 13th at the Logan Funeral Home. Flowers are acceptable or donations can be made to the Clear Creek Baptist Church Cemetery Fund in care of Rois Ledford at 230 Orchard Lane Talking Rock, GA 30175 in memory of Cindy. Mr. Winston Reed Frady, age 73 of the New Hope community Ellijay, GA passed on Sunday March 3rd, 2019 at the Emory University Hospital. He was born on May 3rd, 1945 to his late parents James Walter & Mable Irene Suites Frady in Blue Ridge, GA. Mr. Frady was an honorably discharged U.S. Army Veteran that served in the 1st Calvary in Vietnam. He retired from Sparks Lumber Company and was a member of the New Hope Baptist Church. His sisters, Bluma Lee Jones, Nerva Lou Palmer and brothers, Fred Frady, Clint Frady and Raymond Frady preceded him in death. Funeral Services will be held at 2:00pm on Wednesday March 6th, 2019 from the New Hope Baptist Church with Rev. Brian Clayton and Rev. Steve Jones officiating. Music and singing will be by the New Hope Choir and Mrs. Kendra Davenport. Graveside interment will follow in the Mt. Pleasant (Buckhorn) Baptist Church Cemetery with Max Frady, Devell Frady, Greg Frady, Chetley Frady, Kelly Frady, Joe Frady, Scott Jones, Jonathan Willis, Mark Willis and James Willis serving as pallbearers. Military honors will take place prior to the service at 1:00PM from the Logan Funeral Home pavilion with military rites performed by the North Georgia Honor Guard. Winston is survived by his wife of 52 years, Betty Starks Frady of Ellijay, daughter & son-in-law, Candra & Adam Reece of Ellijay, son & daughter-in-law, Danny & Cindy Frady of Ellijay, grandchildren and spouses, Josh & Emily Frady, Haley & Corey Cantrell, Mara & Jacob Couch, Macaylin Frady, Karlie Frady, Colin Reece, Emma Reece and Owen Reece, great grandchildren, Hudson Frady and Holly Frady, sisters & brother-in-law, Belle and Rev. Harold Willis of Blue Ridge, Doris Bradford of Jacksonville, FL, several nieces and nephews also survive. The family is receiving friends on Tuesday March 5th, 2019 from 4:00pm-8:00pm at the funeral home. Flowers are being accepted or donations may be made to the Mt. Pleasant (Buckhorn) Baptist church cemetery fund in care of Wayne Garland at 5970 Boardtown Road Ellijay, GA 30540 in memory of Mr. Frady. Online condolences may be sent to the family at www.loganfuneralhome.com. Logan Funeral Home & Chapel in charge of the arrangements. Mr. Steve Bryan Chilton, age 46 of Ellijay, GA passed away on Saturday, March 2nd, 2019 after injuries sustained from an automobile accident. Mr. Chilton was born on December 11th, 1972 in College Park, GA to his late parents, Mark B. Chilton and Glenda Gibson Chilton. Steve worked as a carpenter and loved to go deer hunting, but most of all enjoyed spending time with his family. A memorial service will be held on Saturday, March 9th, 2019 at 12:00pm noon from the Higher Praise Church of God with Rev. Gary Ashe officiating. He is survived by his wife, Bobbie Sue Chilton of Ranger, GA; four daughters, Emily Chilton of Ellijay, GA, Ashten Chilton of Cherry Log, GA, Madison Teal of Talking Rock, GA, Hailee Inman of Ranger, GA; sisters, Monica Nichole Shannon of Stockbridge, GA, Pamela McPherson of Powder Springs, GA; brother, Shane Southern of Powder Springs, GA; 5 grandchildren, several nieces and nephews also survive.